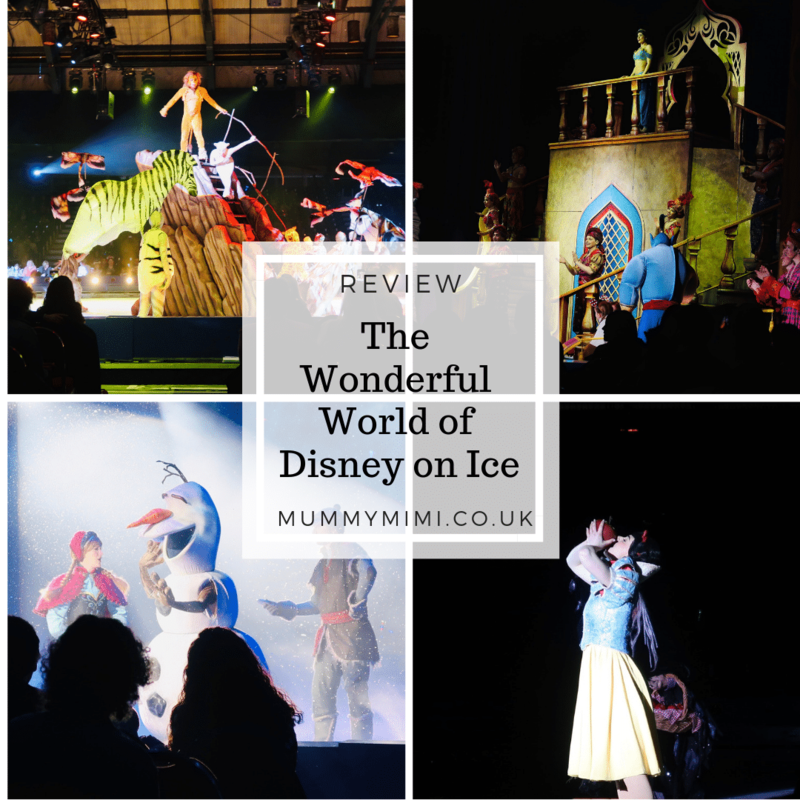 (AD-Gifted) We were lucky enough to be invited along to see The Wonderful World of Disney on Ice at Aberdeen Exhibition & Conference Centre on Wednesday 20th March 2019. 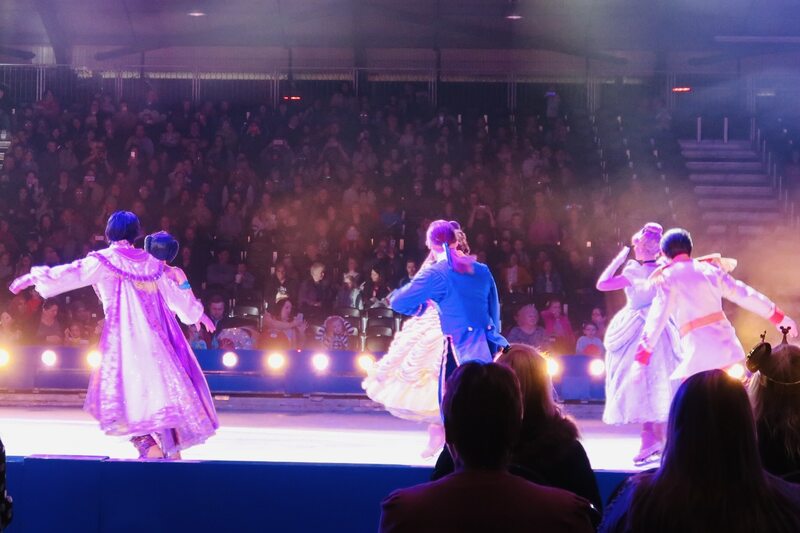 The show is on in Aberdeen until Sunday 24th March 2019 – you can find ticket details and show time over on the Disney on Ice website. 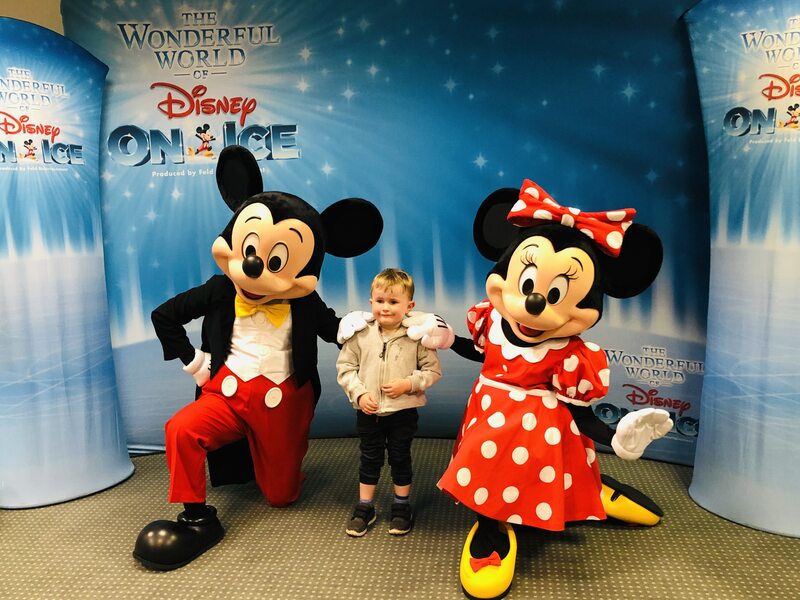 After seeing last years show, Disney on Ice Worlds of Enchantment, S couldn’t wait to go with the hope he would get to see Woody on the ice again! 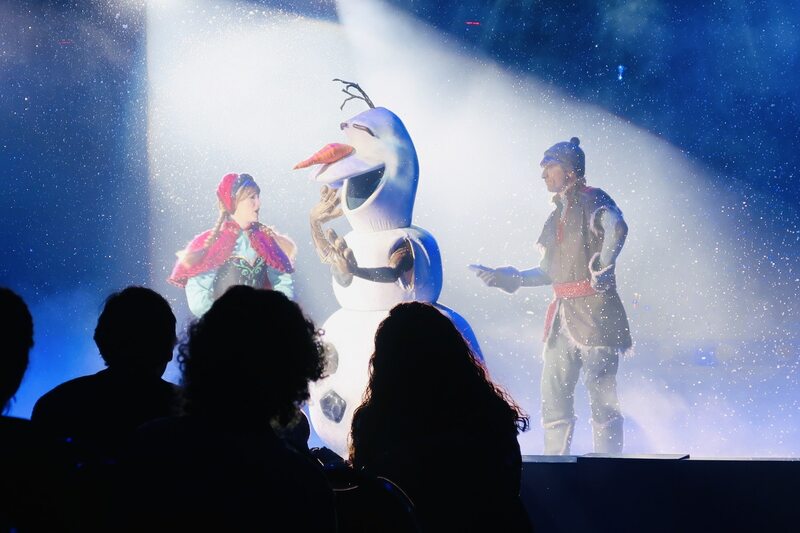 Mickey, Minnie, Goofy and Donald Duck host the show taking the audience on a journey through everyones favourite Disney stories. 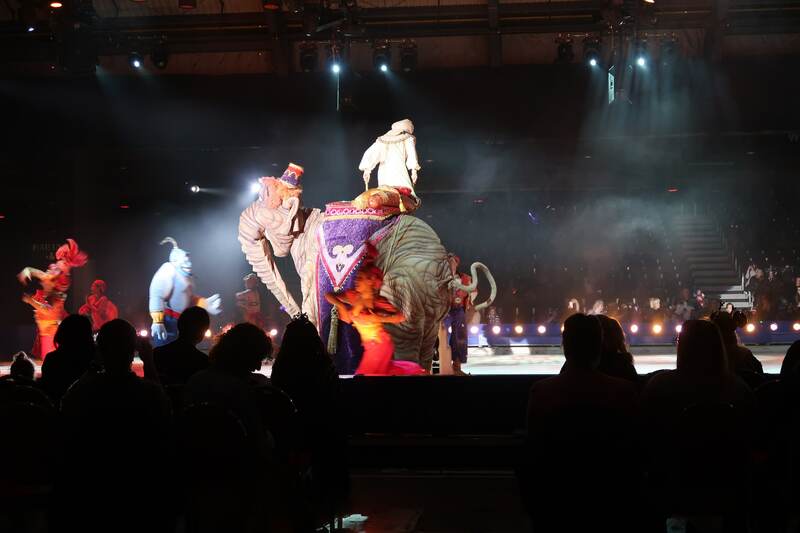 The show showcased various stories from the Disney catalogue, some of which had longer segments whilst others had a song or two. 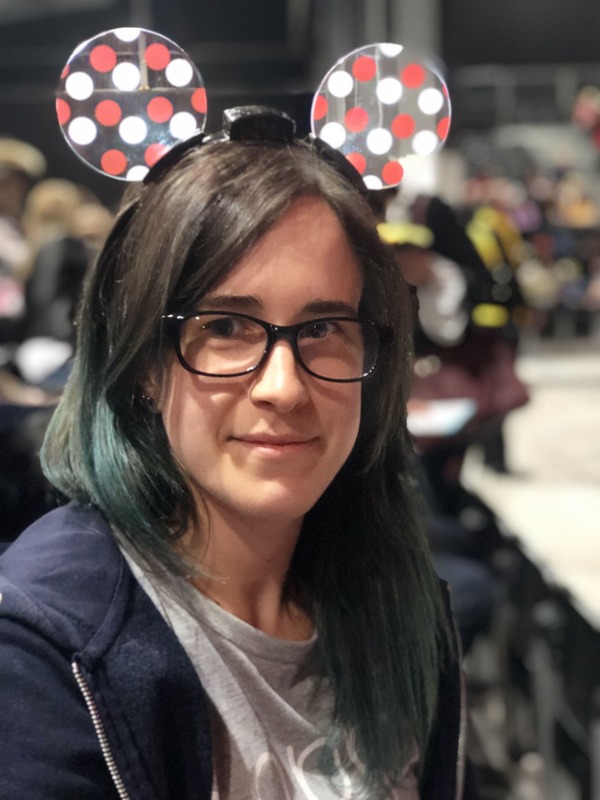 It was also a great way to introduce S to some of the stories he doesn’t quite know yet that we can then watch the film together. 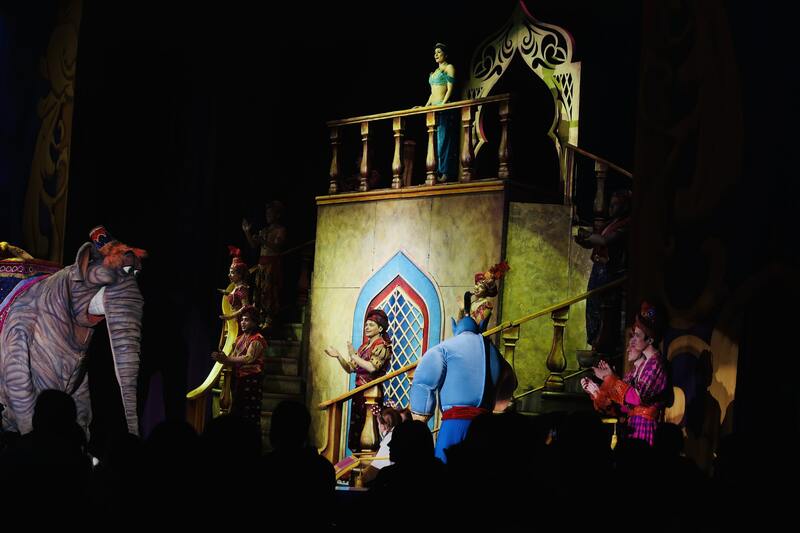 Seeing Aladdin reminds me that I need to watch the film as I’m sure S would love it! 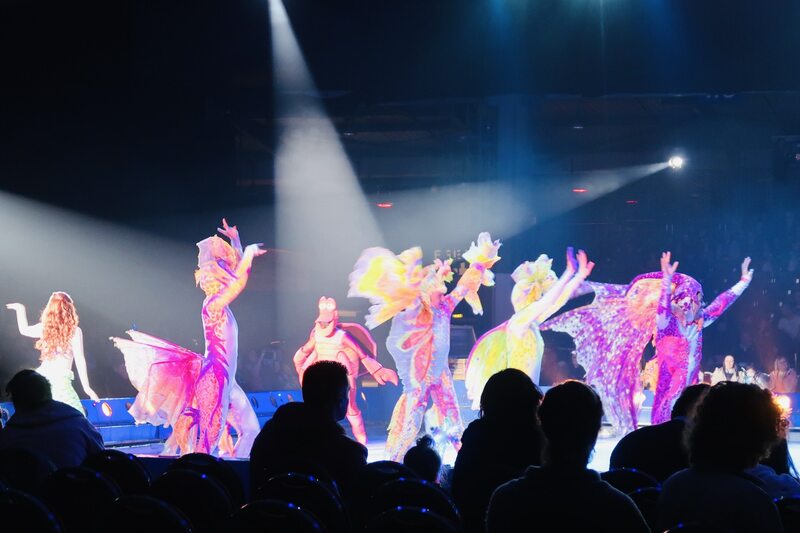 A number of the Disney Princesses and their Princes then came onto the ice. 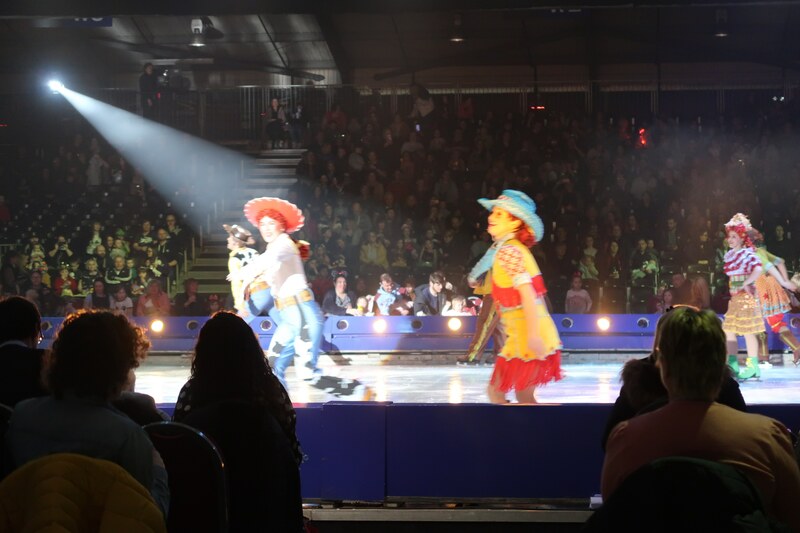 Woody’s appearance on the ice was the highlight of S’ evening! 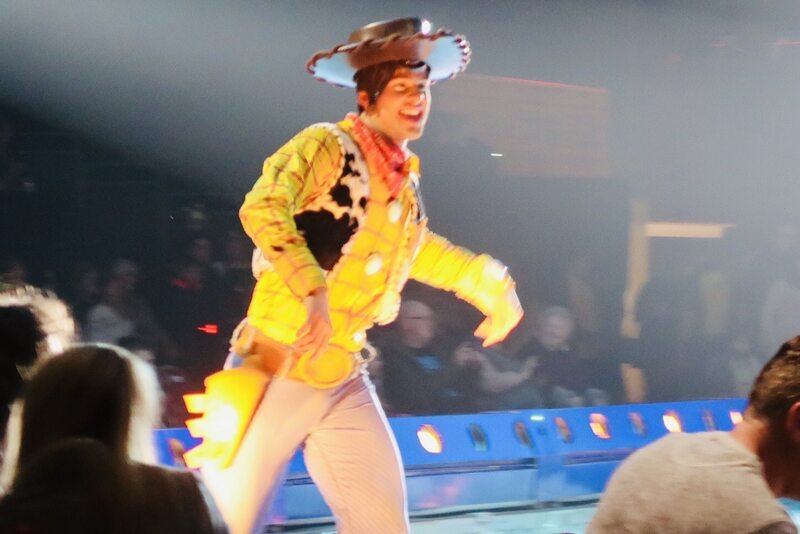 Although after having a lengthy segment in last years show the Toy Story gang were not on the ice for as long as S hoped for, but he’s still amazed he got to see “the REAL Woody” again! 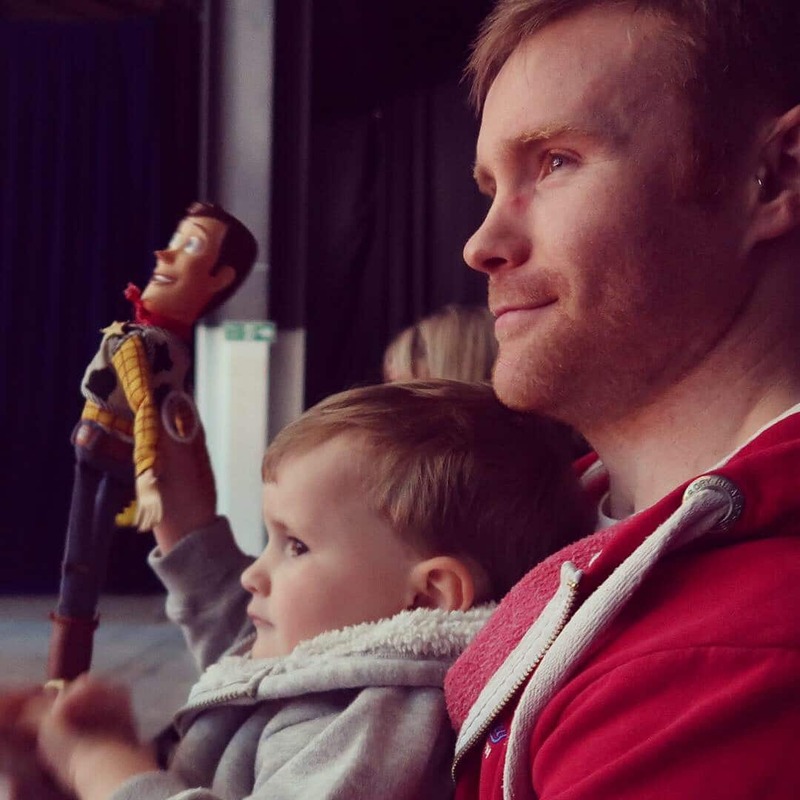 S had taken his toy Woody along so he could watch too – and he had to make sure he could see the real Woody on the ice! 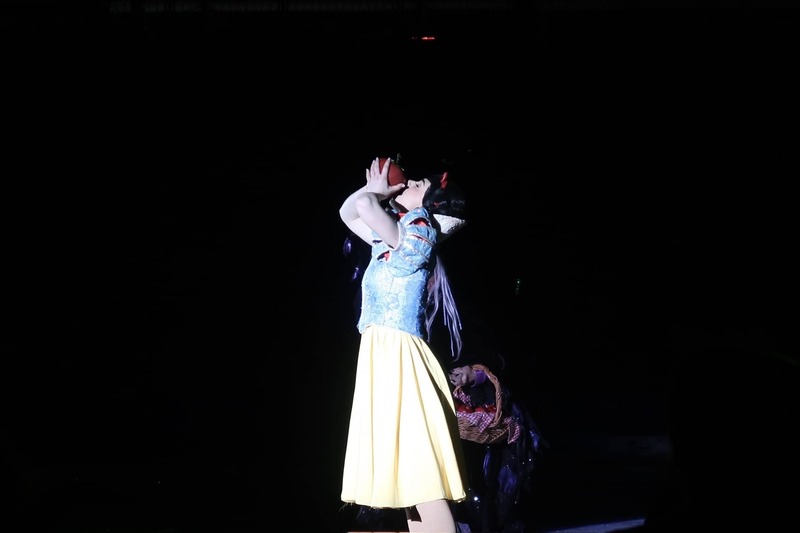 As soon as Princess Anna appeared on the ice, S’ face lit up once more declaring that she was his favourite Disney Princess! S was so excited when it started snowing! He wanted it to snow over where we were sitting! 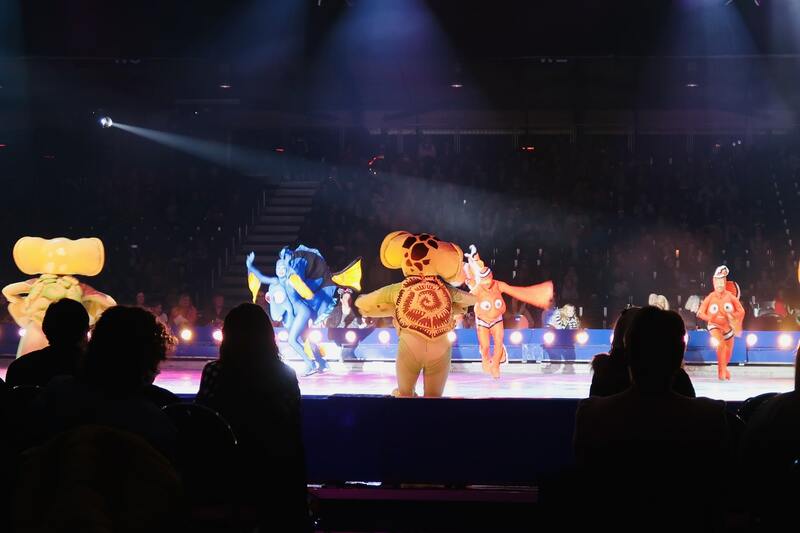 After seeing S’ reaction to the show last year I couldn’t wait to take him again and the excitement on his face when he seen his favourite characters on the ice. 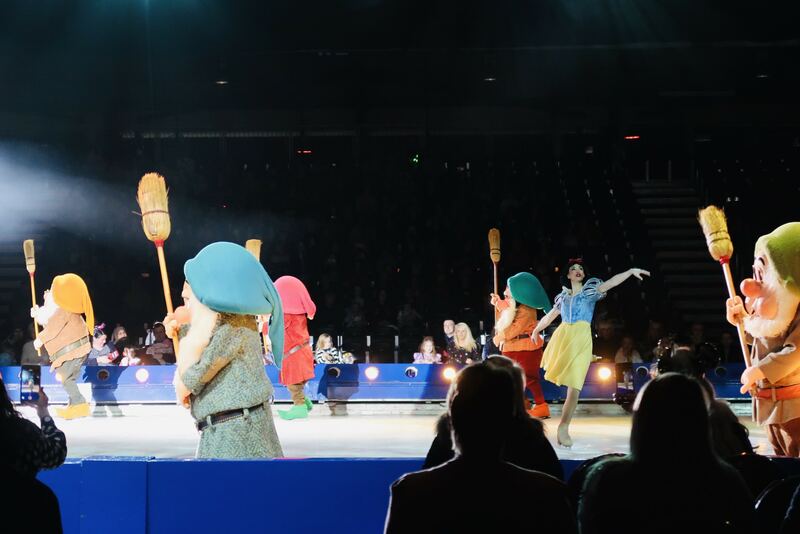 His reaction to seeing Woody on ice made my night – especially when he held him up so he could see big Woody skating! 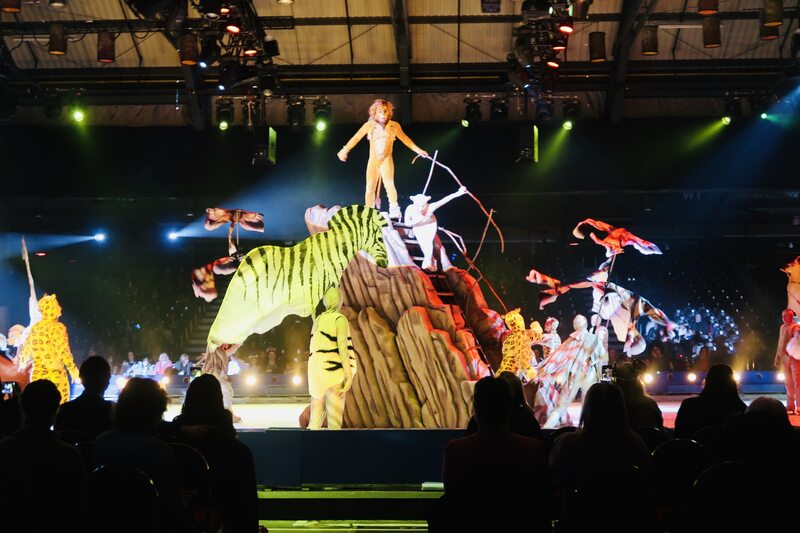 The show started of at 6.30pm, after doors opened at 5.30pm, with an interval at 7.30pm the show finished at 8.30pm. 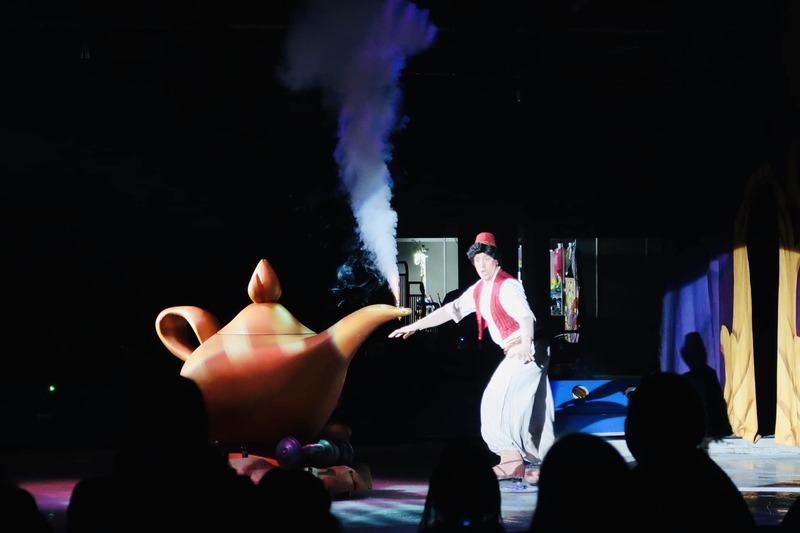 We’d like to thank Disney on Ice for having us along to the show and an enjoyable family evening out!